I thought there was a lack of boarding runs out of all of the few runs there are of this mod. Made an updated version of this mod to both fix a couple problems made in FTL 1.6 and make changes to take advantage of changes in FTL 1.6. Made a lot of useful audio cues silent. I won't say which sounds but good luck with solar flares. Made boarding harder, you'll know why. Removed/Gradiented some graphics/text for more deprivation. Added some polish to the mod. This updated version doesn't contain the addons, download SensDep v06 for the addons. Thank you so much Jumbocarrot for reviving this thread, allowing me to discover this gem from 2015! While many of the polish changes are definitely appreciated, I made a personal modification to it that strips out many of the changes from both v07 and the base mod itself. The changes stemmed simply from me treasuring many of the visual and audio cues from the base game, and my personal opinion that the game would be lesser without them. Thus, the quality-of-life UI/UX features such as warnings, fleet movement and beacon paths remain unmodified. What is left retains the core of SensDep, that of not knowing which systems belongs to which room, demanding the player to pay more attention to the effects of damage (as well as ion damage, and total damage in general). Its definitely less difficult than Jumbocarrot's version, but I feel that its already a big step up in difficulty from vanilla. Made another version of v07, this time with several addons like v06. Blockage Clearer - Makes SensDep easier. Thicker Clouds - Makes SensDep harder. Deprived Information - An expanded version of speckless specs from v06 that extends to crew and augments. The base mod has also had an update, adding more deprivation. There are also some source files within the mod for anyone who wish to make some tweaks. EDIT: v07 has some issues with FTL 1.6.8, v07a fixes some of these issues. Last edited by Jumbocarrot0 on Sat Sep 29, 2018 9:39 pm, edited 5 times in total. As you can see, the icon overlays are still removed, so you still don't know which room is which at the start of combat. BUT, you at least have feedback of what system a particular rooms hold AFTER damaging it. This removes the unfun-ness of hitting rooms and not knowing what you actually hit (particularly if it isn't something obvious like Weapons or Shields). Also, this makes Combat Augments from CE useful again because now you'll know if the enemy has a particular system in the first place, before deciding to use power to activating the combat augment. I've experimented playing with this version a few runs, and I can safely say that this now adds a very comfortable extra layer of difficulty to your regular runs, and that you can actually run this without lowering the difficulty that you usually play on. Sci-fi immersion-wise, you could probably rationalize it to the tune of each system emitting a unique energy signature that your base sensors are able to keep track of (and whether it is running normally, damaged, or turned off). But you aren't able to pinpoint exactly where the signature is coming from within the enemy ship. Something something . It feels and plays great though! 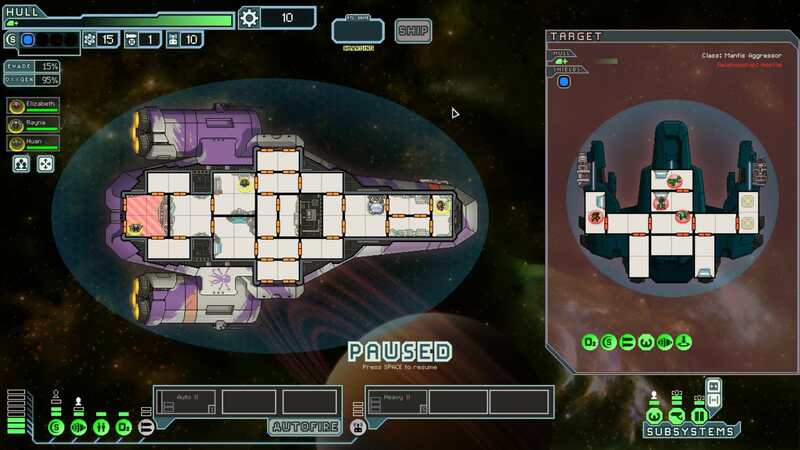 The new FTL update has its issues with certain mods. The most widespread of this is the breaking of loading bars across many mods, SensDep included. This new updated, v07a, has fixed this issue, so the loading bar should appear as normal. There are also new localisations to the game, allowing the game to be played in many languages. As of now, there are some issues with non-English versions of the game and SensDep. This includes text boxes not changing and any text-based images, such as the pause text, will show up in non-English versions. The main aspects of the mod however (not being able to see rooms and unknown hull counters) will still work in non-English versions of the game.